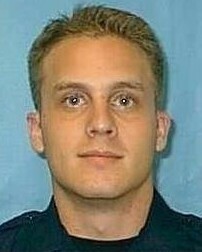 Police Officer Scott Baird was killed after being struck by a vehicle while attempting to move an obstruction from a roadway in the early morning hours. The obstruction was a 200-pound batting cage that had been placed in the road behind a high school as a prank. Officer Baird had served with the Gainesville Police Department for two years. He had recently been named "Most Popular Officer" by local businesses. I was in the Smoothie King today and the sweet girl behind the counter bought my smoothie. When I asked her why, she said her father was Fallen Officer Scott Baird and she sometimes does this for other officers. Her name was Juliann Baird. 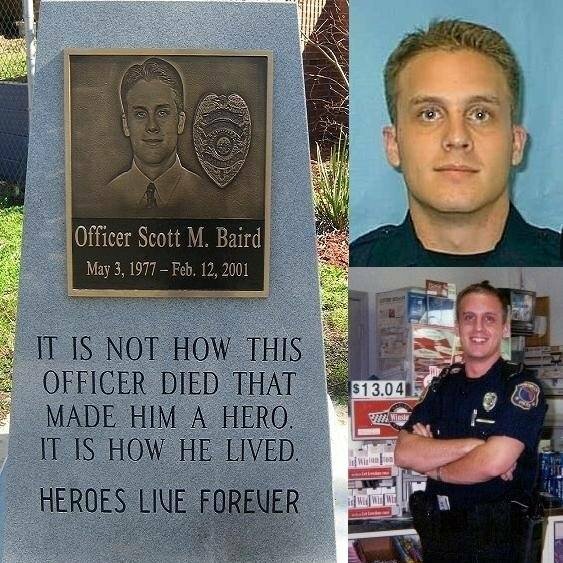 I didn't know you Officer Baird, but if your still reading these posts from above, RIP you left a wonderful legacy in that daughter of yours.